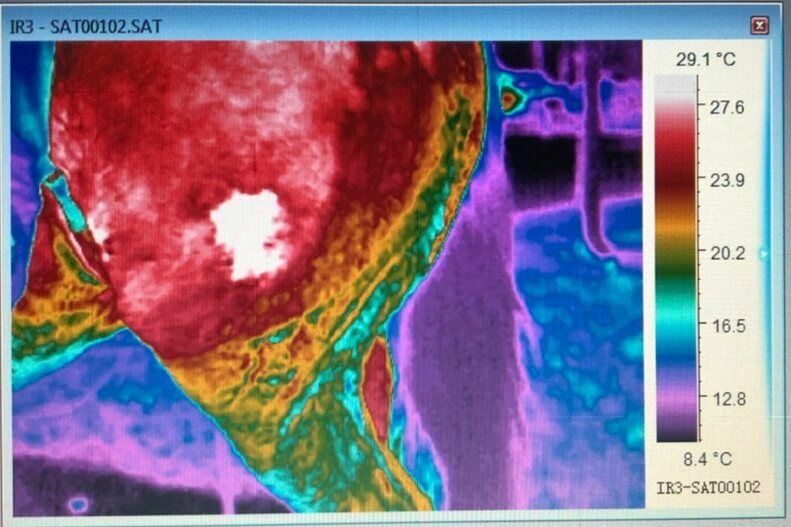 What is thermography? 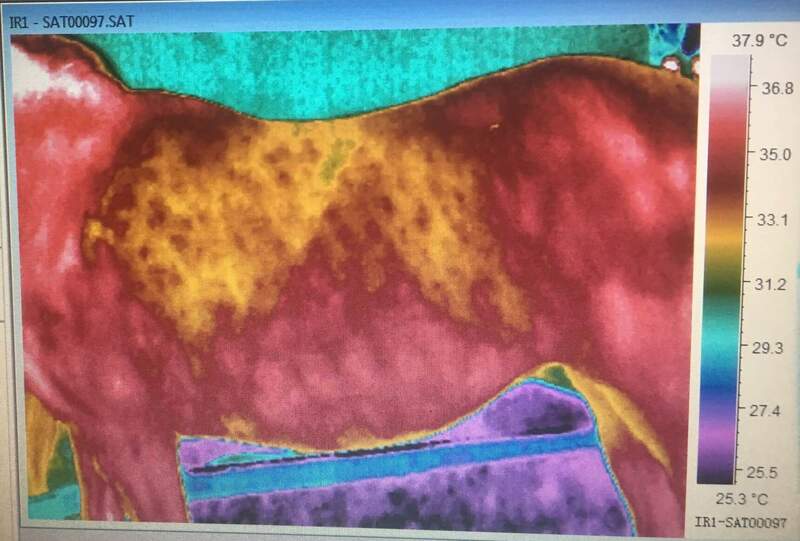 Digital Infrared Thermal Imaging (DITI) or thermography, is a tool used to help identify specific areas of pain and inflammation for animals of all types. A “thermogram” is an image which shows different temperature levels throughout the body. For many years, there has been evidence that changes in skin temperature are controlled by the sympathetic nervous system – thermal imaging is a cutting-edge tool used to pinpoint “areas of interest” for a variety of painful conditions. The thermogram provides a unique thermal fingerprint that, in healthy patients, shows a high degree of symmetry between different sides of the body. On the other hand, areas that are non-symmetrical (temperature wise) are an indication of a potential problem…even if symptoms are not yet appearing. Locating these areas of concerns sooner can greatly improve the patient’s prognosis since it will allow for the necessary treatments to begin at an earlier date. Thermography is complimentary to other diagnostic testing but is not intended to replace it. Because the images are taken quickly and with no radiation, thermography is an effective and safe option that can quickly identify an area of disfunction. This may eliminate the need for other expensive and unnecessary tests in the future.